Chris Lightcap's Bigmouth, "Epicenter" among NY Times best of 2015! NY Time music critic, Nate Chinen, just selected Chris Lightcap's Bigmouth release, "Epicenter" #8 in his top 10 releases for 2015. Justified, for sure...fantastic album. You can listen to Chris talk with me about this album and more on the premier episode of the Alloy podcast. Chris was a fanatastic guest, generous with his time, and with a first-time podcaster no less, and we covered a lot of music ground during our conversation. Read more about Chris Lightcap's Bigmouth, "Epicenter" among NY Times best of 2015! Everywhere I seem to go, like a magnet, I keep bumping into references, mentions, and segments about analog (and digital) synths and electronic music. The latest is an entire Moog/synth segment on "Sound Opinions," a great podcast/NPR show covering music themes and topics. A recent episode focused on the Moog analog synth created by Robert Moog. So much unrest in way too many places across the globe. Found myself humming and singing this song this morning as a reminder to stay positive and hope for real positive change(s). We need a whole lot of peace, right now, in our minds, our hearts, and our lives as we close out this year and head to a new one. I have been reading, thumbing through, and enjoying every dive into the "The Art of Electronic Music: The Instruments, Designers, and Musicians Behind the Artistic and Popular Explosion of Electronic Music" compiled by Tom Darter, edited by Greg Armbruster, with a forward by Robert Moog. It was published in 1984 so it is not comprehensive if you want a history that includes anything around or after 1984. It is a compilation of interviews and articles featured in Keyboard magazine from 1975 to 1983. The interviews are excellent and cover a veritable who's who of keyboard heavyweights. Highly recommed it, regardless of the chronological limitation. I am borrowing a copy from my local library (support your local libraries!) and find it a fun volume to peruse when I am between things. Read more about Emerson, Lake & Hendrix?? "...pure improvisation, that's what I am into, that's all I do, it covers a lot of ground." 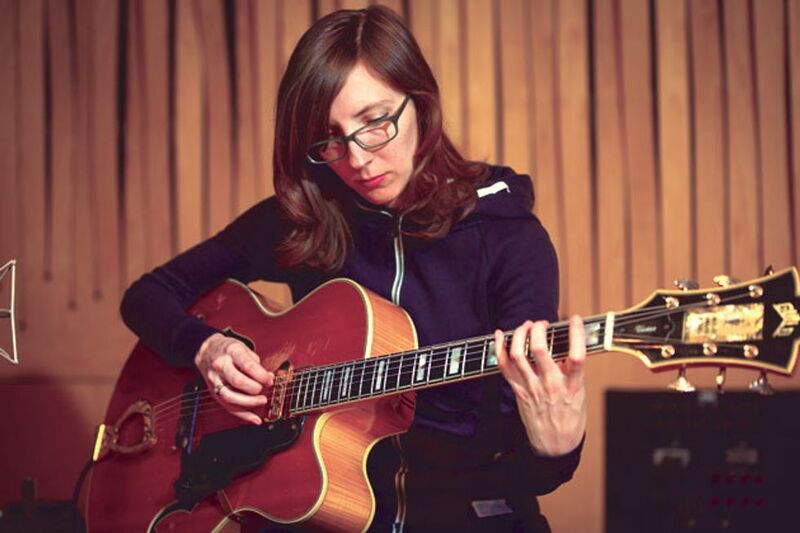 New music/artist discovery (for me) this week--guitarist, Mary Halvorson. Premier Guitar magazine posted a real nice interview with Mary this week on their website. I am only beginning to explore her catalog, so too soon to share concrete impressions...but, I am really enjoying her point-blank experimental style/approach, which comes through beautifully on Cheshire Hotel (listen: Apple Music | Amazon | Bandcamp) from her newest release, Meltframe (Apple Music | Amazon | Bandcamp). Trumpeter Dave Douglas has released a new album, "Brazen Heart" (featured this week on Alloy). The album is excellent and I highly recommend giving it a listen.